When Amit Shah enrolled his candidature from Gandhi Nagar, he also had crude critics with him. 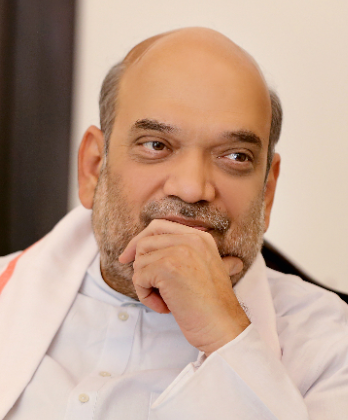 It is said that even though Amit Shah is the core point of the team, yet he is going to stay behind the curtain and the camera and operate. Enrolling for election is a sign of showing strength, especially for the high profile representatives. Mr. Shah’s stature is gradually increasing with the passage of time, not with anyone next to him, but above all. While enrolling for the Lok Sabha elections, for the first time along with the supporters and big names of his party (Rajnath Singh, Nitin Gadkari, and Arun Jaitley), came Ram Vilas Paswan, Prakash Singh Badal, and Udhhav Thackeray. The latter leaders have always been the bitter gourd for Mr. Shah.